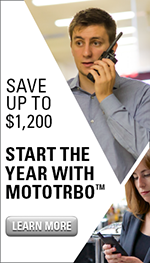 MOTOTRBO is a scalable two-way radio system solution that can be tailored to meet the unique communication needs of your business. From basic push-to-talk to IP telephony with data to comprehensive voice and data, you have the freedom to select a specialized device for each employee without sacrificing seamless reliability. For decades you have relied on Motorola SMARTNET analog two-way radio systems to improve productivity, enhance safety and provide dependable communications for your business operations. However, some of the earliest SMARTNET systems are approaching their end of life. Now is the time to prepare for the future with new choices in digital communication solutions, and it is critical that you begin to budget and plan for this migration. 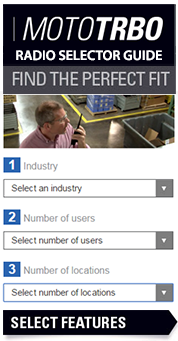 Motorola offers a digital solution for updating your legacy communication system - MOTOTRBO™. The LTR / PassPort application from Scholer-Johnson utilizes the built-in Expansion Card, allowing current analog LTR and PassPort users to purchase MOTOTRBO radios and continue to use analog trunking protocols today. When users are ready, they can then utilize the same MOTOTRBO radio unit to migrate to MOTOTRBO Time Division Multiple Access (TDMA) digital trunking.